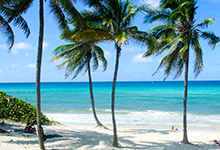 Our special offer holidays are ideal seasonal offers and holiday makers looking to visit multiple locations. Do make sure to check back regularly for updated offerings. 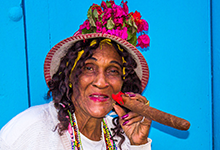 Travel the length and breadth of Cuba with one of All Around Cuba Holidays. Journey across the islands many different cities and provinces, getting a unique insight on this island of contrasts. 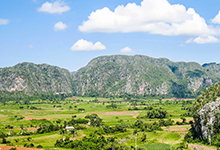 Travel around western, central or eastern Cuba with one of our holidays tailored to one the islands distinct regional areas. Explore the rich cultural heritage with one of our Cultural holidays. 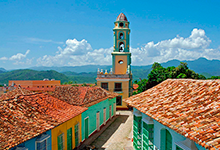 A truly unique island, Cuba possesses a variety of different cultural delights sure to charm any traveller. 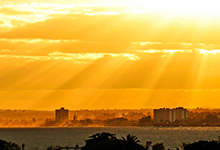 With so many different landscapes, nature reserves and UNESCO biosphere reserves, Cuba is a nature lover's paradise. Our nature and wildlife holidays allow you to get up close to the island's flora and fauna. 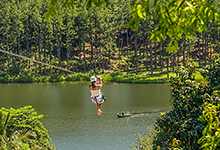 For those in search of an adrenaline rush, look no further than one of our activity holidays. Wether is be cycling, trekking, sailing to kayaking, we offer a range of activities amidst this wonderful tropical backdrop. Motor enthusiasts can enjoy one of our road trip holiday packages. 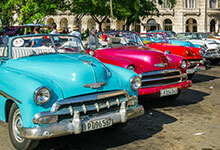 Beyond vintage cars in grand cities such as Havana, go off the beaten track with a choice of motorbikes, campervans and scooters to explore some of the island’s greatest winding roads and spectacular scenery. 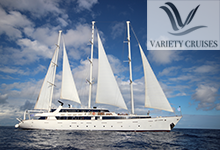 Award winning Variety Cruises owns a fleet of 11 cruise ships, sailing the destinations all across the globe. True to their name, they offer a vast choice of different cruising experiences, with small, boutique-size ships with 5 cabins offering a unique yachting adventure to their larger 36 cabin ships. Variety Cruises also offer programs for small group shore excursions to allow you to fully immerse yourself in each destination.